Why does capillary flow or scavenging occur when I apply conformal coating to my PCB? Capillary flow in conformal coating is where the coating pulls or runs away from certain areas of a PCB to more favourable sectors due to a combination of effects, leaving a patchy finish on the surface of the board. To learn more click Common Failure Mechanisms in Conformal Coating Capillary to find out more. How does delamination or lifting of my conformal coating occur and how can I stop it? 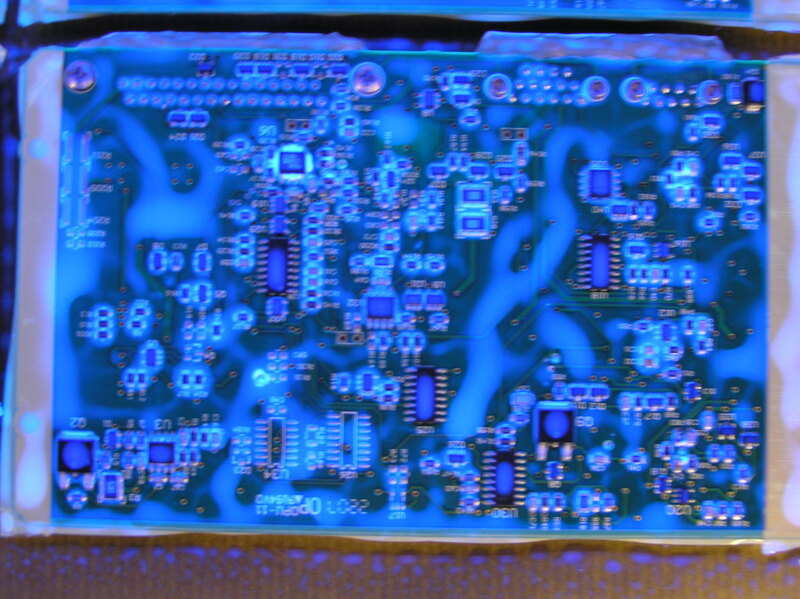 To learn more click Conformal Coating failure mechanisms Delamination to find out more. Why does my conformal coating crack during my coating process? Cracking in conformal coating is where the smooth surface of the coating fractures into sections with the cracks leaving the area below exposed to potential contaminants. To learn more click Conformal Coating failure mechanisms cracking to find out more.